Circa 1950 these prismatic lights have had all their internal fittings replaced with new brass bulb holders, B22, standard bayonet fittings. 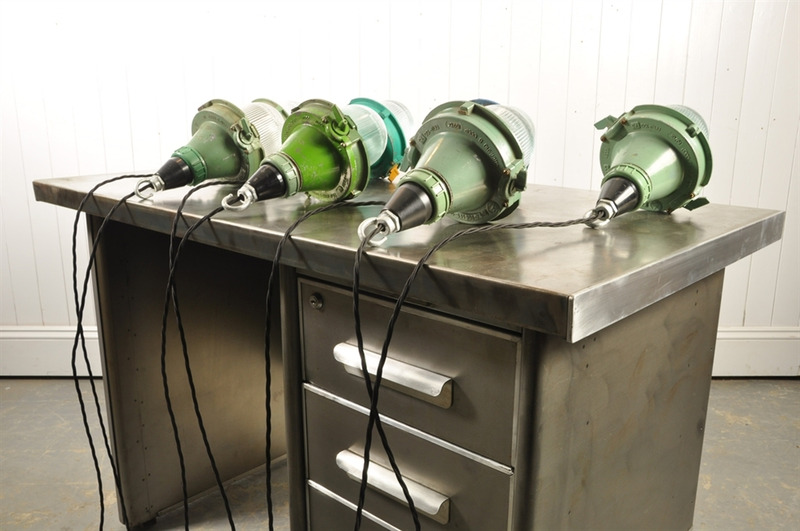 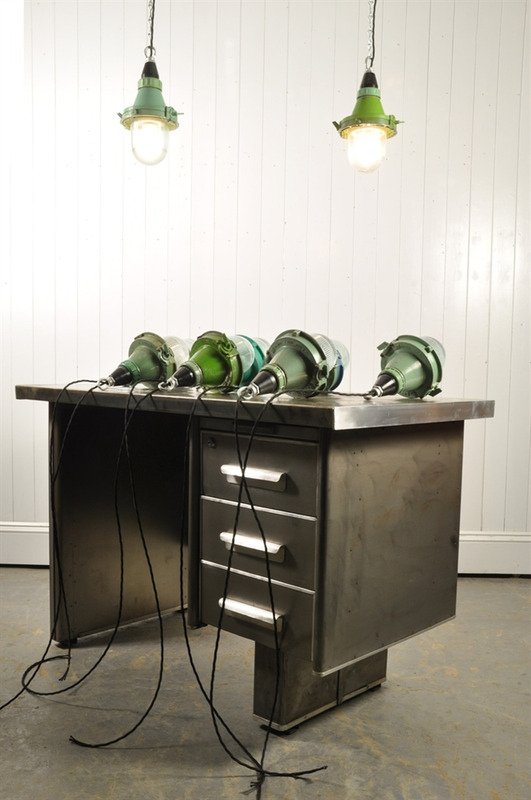 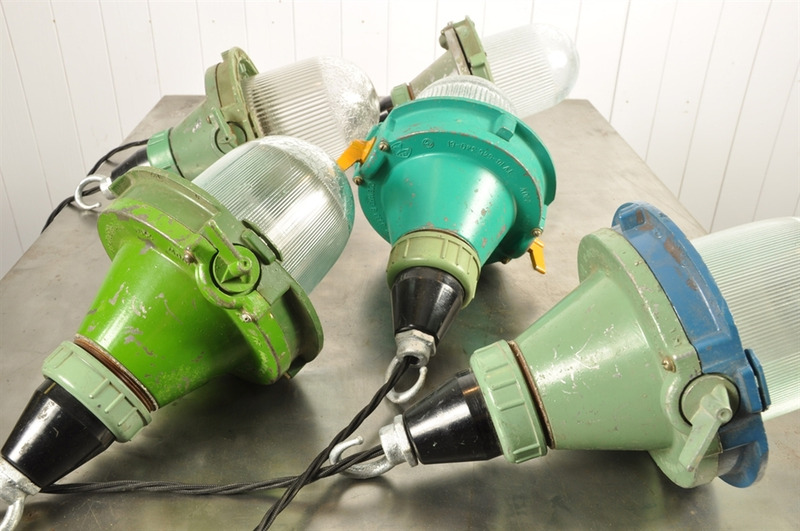 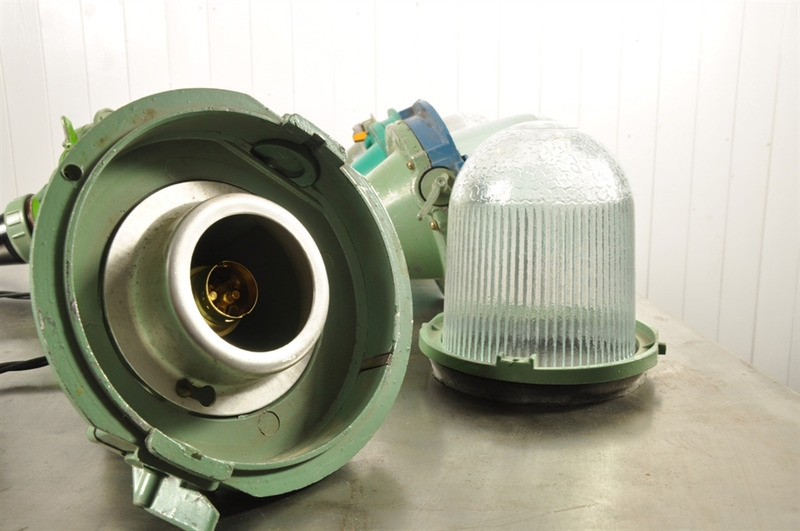 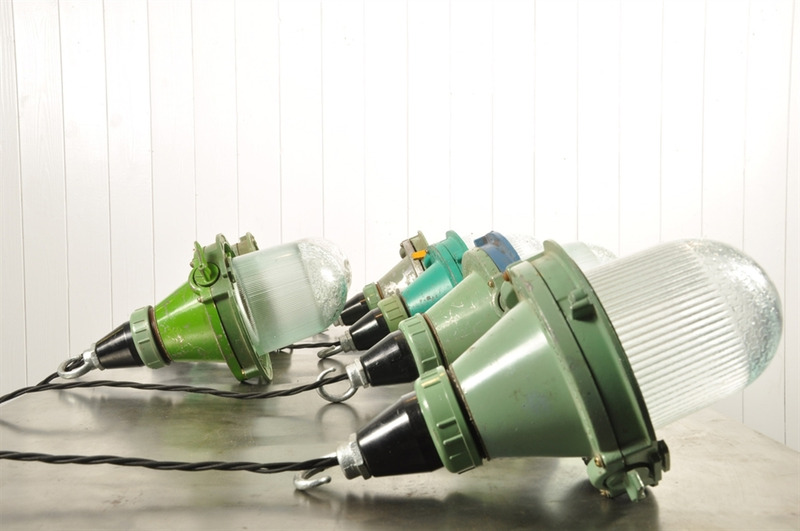 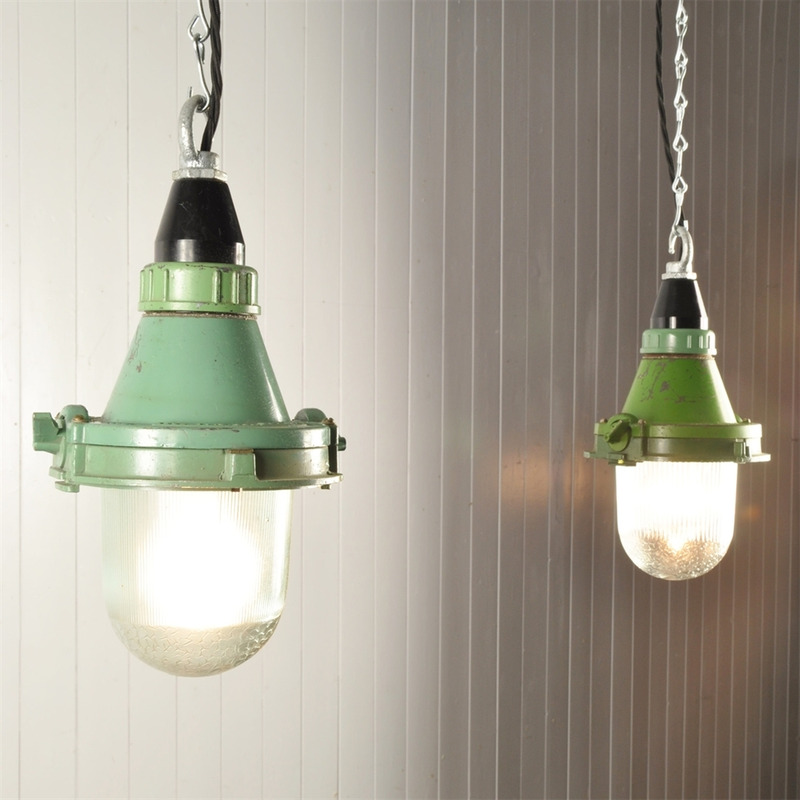 These industrial lights are painted cast aluminium. 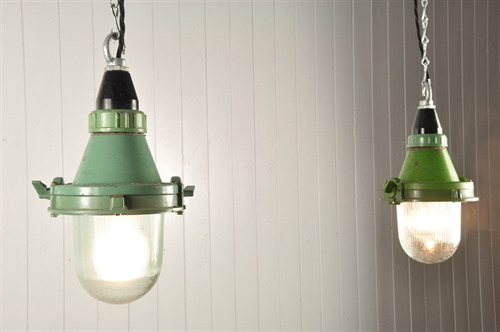 It was tempting to strip and polish these but we have decided that the variation of colours and patina makes them more interesting. Fully re-wired and sold with chrome chain, ceiling hook and black triple twisted braided flex. 34 cm h x 18 across.